President Barack Obama declared a major disaster on Tuesday for the communities hit by the Valley Fire in California that has destroyed at least 1,200 homes and killed at least three people. The declaration issued Tuesday for the fire that broke out in Lake County 90 miles north of San Francisco releases federal money for recovery and cleanup for the hundreds of families whose homes who lost their homes. Residents can apply for grants for home repairs and temporary housing as well as apply for low-cost loans for uninsured property. The devastating wildfire that started Sept. 12 ranks among California's most destructive and stands at 80 percent contained with 118 square miles scorched. Thousands of people fled their homes at the peak of the fire, and two men remain missing, according to the Lake County Sheriff's Office on Tuesday. Authorities are searching for Robert Litchman, 61, of Middletown and Robert Fletcher, 66, of Cobb. Sheriff Brian Martin said at a news conference Tuesday that his office had received reports of 15 people missing since the fire started. All have been accounted for except the two men. "We are hopeful these people are located and returned and reunited with their loved ones,'' he said. His office has had reports of 15 missing people since the fire began. Middletown residents are still returning to what's left of their houses and belongings. Emergency crews have set up places to shower and services for people that lost everything need to get by. In the nearby community of Cobb Mountain, crews still have a lot to do to make the area safe for residents to return. It's one of the last places still closed off to the public. The fire has claimed the lives of three people. The body of 72-year-old Barbara McWilliams, who used a walker, was found in her burned-down home. The others who died in the Lake County fire are 69-year-old former newspaper reporter Leonard Neft and 65-year-old Bruce Beven Burns. 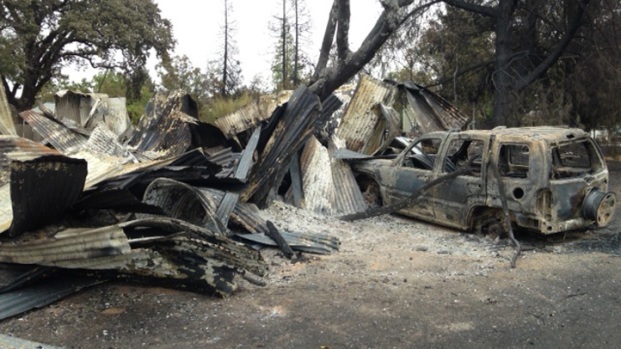 President Barack Obama declared a major disaster on Tuesday for the communities hit by the Valley Fire that has destroyed at least 1,200 homes and killed at least three people. Jodi Hernandez reports. California Gov. 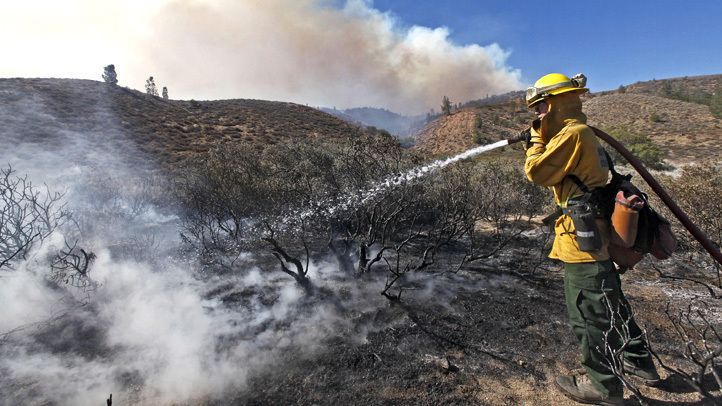 Jerry Brown requested disaster declarations for the fire in Lake County as well as another destructive wildfire in Calaveras and Amador counties, about 125 miles east of San Francisco. Federal officials are still working on the request for the other fire, said Kelly Huston, deputy director for the governor's Office of Emergency Services.